Small scale and family farms in every country in the Asia-Pacific region are critical agents of change and need to be empowered to achieve zero hunger. This was the message from the Minister for Agriculture, Rural and Maritime Development, National Disaster Management and Meteorological Services, Inia Seruiratu at the opening of the 34th Session of the Regional Conference for Senior Officials in Nadi yesterday. Mr Seruiratu said rural economies must work together with the United Nation’s Food and Agriculture Organisation (FAO), the International Development Fund for Agriculture (IFAD), the World Food Programme and other regional institutions. Agriculture was at a crossroads, he said, and needed to find ways to feed the world while being environmentally, socially and economically sustainable. “Apart from being susceptible to extreme climate events, food production has encountered a new challenge where, food is now also a source for renewable energy,” Mr Seruiratu said. “One third of all food produced worldwide is wasted yearly. Therefore, I call upon all the member states to support the initiative by FAO to reduce food wastage, and help to minimise the carbon footprint due to excessive food production. Mr Seruiratu congratulated the Assistant Director General for Asia Pacific Region, Kundhavi Kadiresan and the FAO team for what he said was their commendable and tireless efforts to reduce poverty and ensure food security. He said there was still a lot more to be done as an estimated 85 per cent of 500 million small farmers are in the region were unable to build sufficient resilience and are facing various hurdles to make their ends meet. 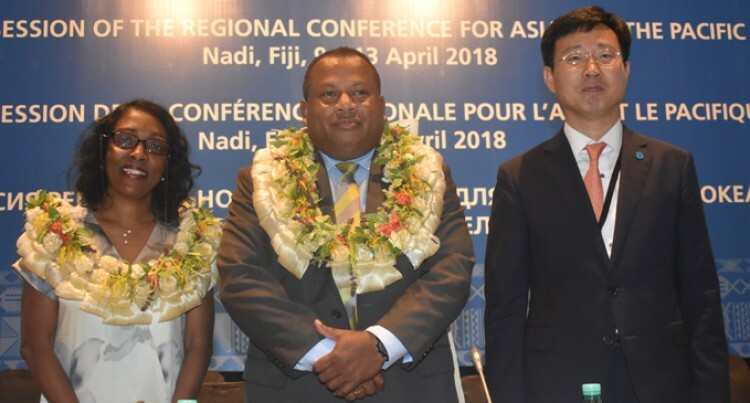 “The Asia and Pacific region, despite impressive economic growth in recent decades, is home to 490 million people still suffering from chronic hunger, accounting for 62 per cent of undernourished people in the world,” Mr Seruiratu said. “Stunting of children is still a challenge, micronutrient deficiencies are still a major problem in many countries, while the trend in childhood obesity is increasing. “Agriculture, fisheries and forestry is the backbone of many economies and plays a pivotal role in the development, growth and stability of the Asia and Pacific region. 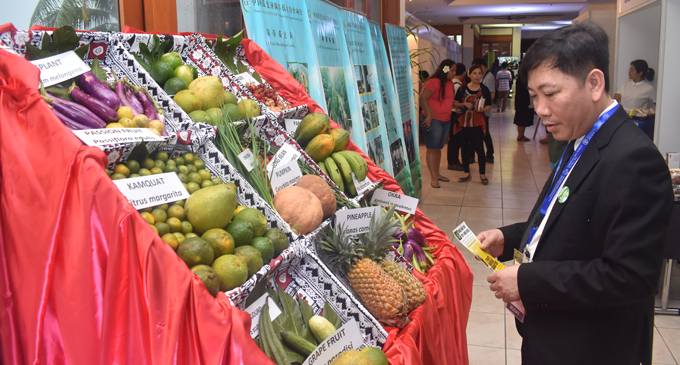 The importance of food security, which is the main topic for the 34 th Session has drawn government ministers and delegations from the far west of Asia and countries from South, south-east and east Asia and Oceania region. With food security and the rising worries over obesity and nutrition, the UN’s FAO Director General Jose Graziano de Silva will speak to the conference later this week and participate in a ministerial roundtable on zero hunger on Thursday. FAO regional assistant director Kundhavi Karan said that while the region had made remarkable progress to improve nutrition, the fight against hunger had slowed down in some parts of the region. “A poor record of food safety across much of this region, persistent hunger alongside is increasing rates of obesity, the threat of zoonotic diseases, climate change and the impact of extreme weather events on agriculture, particularly on small islands states and they are bedevilling our member countries’ efforts to end hunger, improve nutrition and expand trade,” Ms Kadiresan said. “The outcome of this conference will be critical to making sure we are once again moving forward on the road to zero hunger, by helping us find our way around the obstacles blocking our paths, and making sure no one gets left behind,” Ms Kadiresan said. Mr Seruiratu said the global challenges were to feed the growing population and sustain a nation’s food security. “The increase in population, coupled with changes in lifestyles, diet and eating patterns will lead to increase in demand for safe and nutritious food,” he said.